If you're looking for a convenient, inexpensive, and effective method of building your brand and spreading awareness about your company, then why not design your own custom branded wristbands right here? 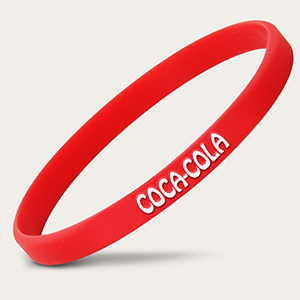 Designing your own branded bracelets for us to create is a perfect promotional strategy for getting more visibility for your company in general, or if you've got a particular event coming up. It's also considerably easier (and cheaper!) than opting for other marketing methods. Why spend your money on expensive t-shirts or flimsy lanyards, when you could get a long-lasting wristband for a fraction of the price? Our talented staff are able to faithfully recreate your company logo onto our high quality, durable, silicone wristbands, or if you want to come up with a new, unique design we'll also be able to work with you to implement this. From colors to fonts, and the actual message itself, you have the option to customize every aspect of the design. We'll be able to get them made for you as soon as possible so you can get the word out as quickly as possible. 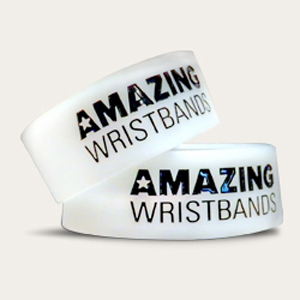 There's no minimum order, so whether you want to distribute a small number of branded wristbands or a bulk-load, the choice is yours. Customize your order here - we're looking forward to helping your business!